The first column, G2931L, is a low expansion, non-talc and non-vitreous bodies. The second is K for moderate talc and Zero3 porcelain and stoneware. Third is H high expansion (for high talc bodies). 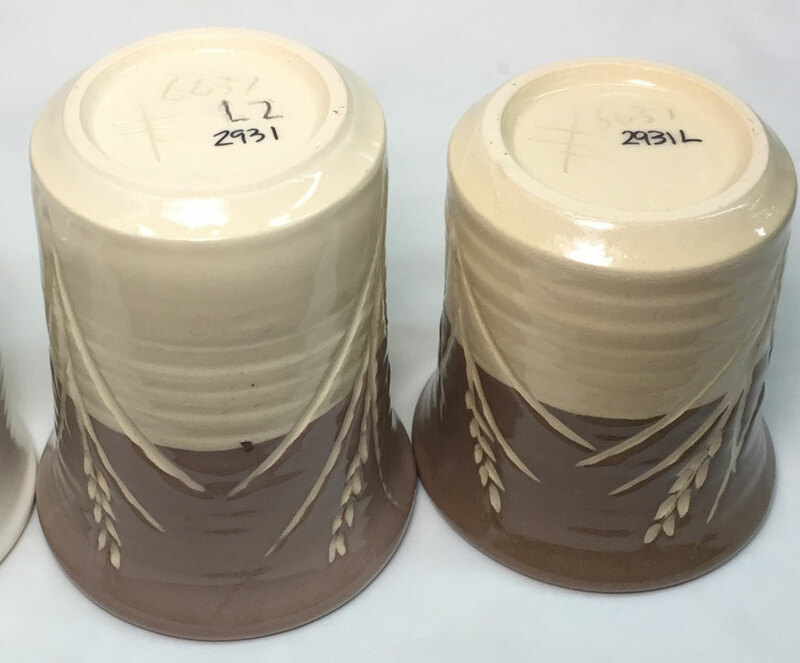 These pieces have underglaze decoration with a covering clear glaze. But the glazes are different. The G2931L (left) has a lower thermal expansion (to prevent crazing on non-talc bodies like this). 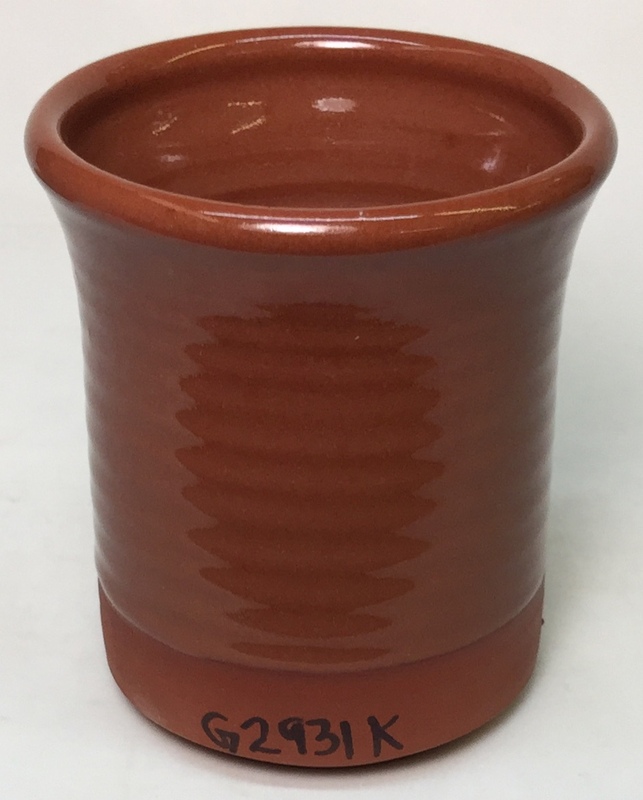 The G2931K glaze fits the terra cotta because the latter contains significant talc (to raise its expansion to fit commercial glazes better). 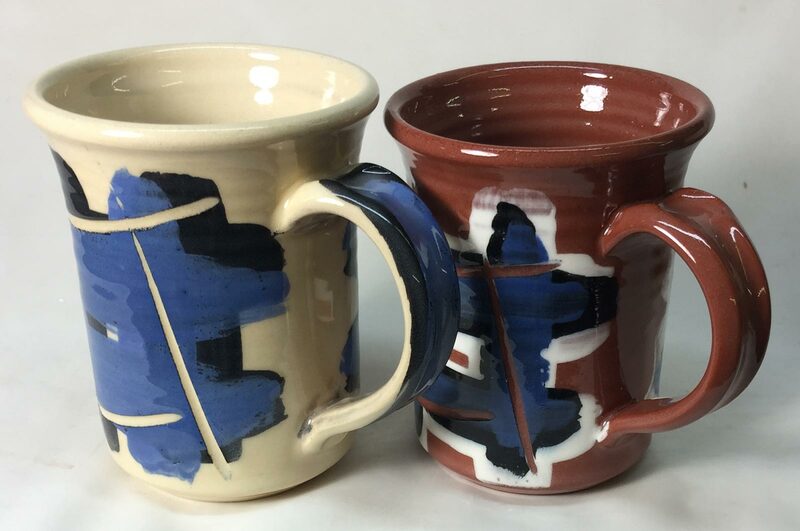 If you switched these glazes the left mug would craze the glaze and the right would would shiver it off in flakes. Because of glaze fit. The left-most mug is Plainsman Buffstone, it contains no talc and fires buff colored. The centre one is L212 (about 25% talc). The right one is L213 (about 45% talc, it fires very white). Talc raises thermal expansion. 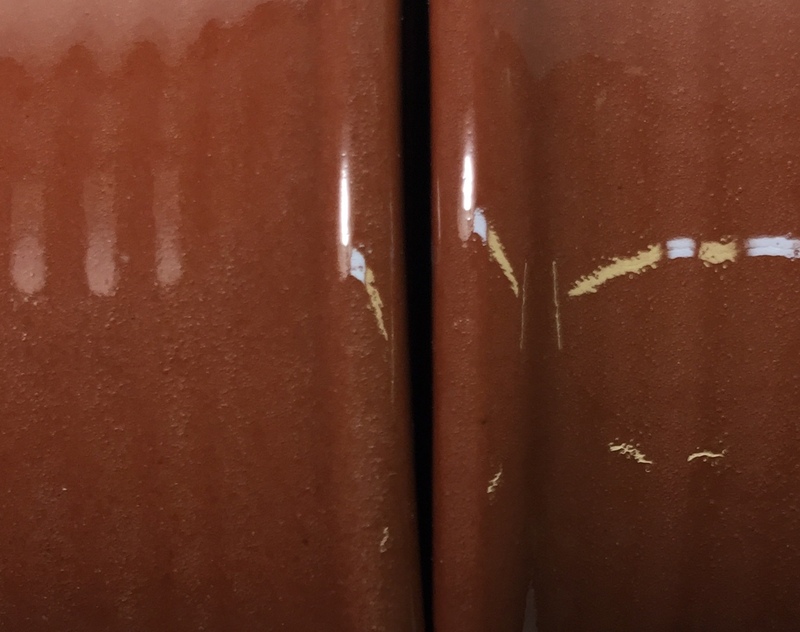 The centre glaze is G2931K, it is middle-of-the-road thermal expansion (Insight-live reports it as 7.4) and fits the L215 (also Zero3 porcelain and stoneware). But it crazes on Buffstone and shivers on L213 and L212. So I adjusted it to reduce its expansion (to work on zero-talc porous bodies) and raise it (to work on high talc bodies like L213). How? By decreasing and increasing the KNaO (in relation to other fluxes). These three can be blended to fit any low fire body. The L2 is a beautiful transparent (even though it is applied quite thickly). The L2 has no micro-bubbles while the L does. The L2 is thicker. Neither are crazing after two days out of the kiln. 1 year old. So crazing starting on the bottom. This recipe improves the popular Worthington Gerstley-Borate-based low fire clear recipe. It targets cone 03 to work best on Zero3 stoneware and porcelain. However many low fire bodies are dramatically stronger when fired to cone 03 with this (or one of its thermal expansion variants L & H). And the vast majority of commercial glaze products will fire easily to this temperature. If you absolutely must fire lower, to cone 06 or 04, then use the G1216Q recipe instead. 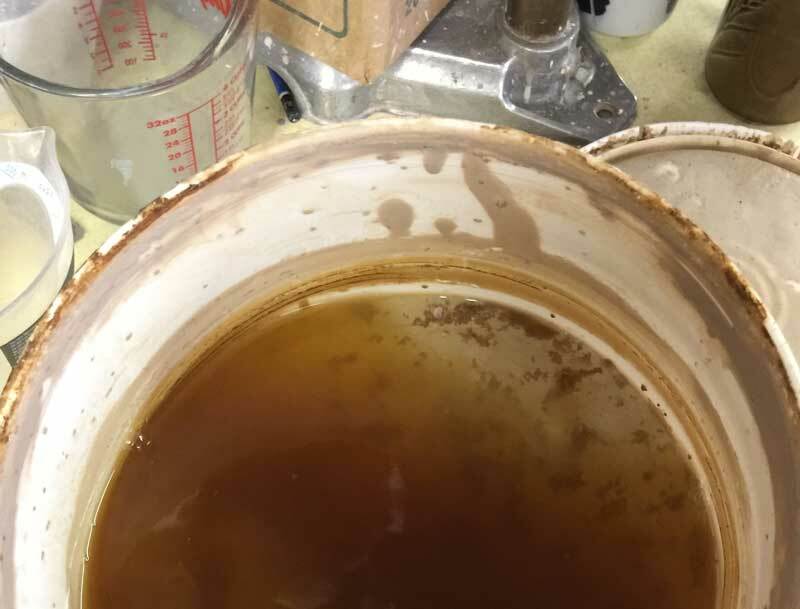 Unlike Worthington something this does not become a bucket of jelly, does not crack on drying, does not go on unevenly or the wrong thickness, does not cloud up with boron blue or micro-bubbles when fired (because it has lower CaO) when used on the types of bodies discussed below. The major development work culminated in the Ulexite-fluxed G2931F. This recipe, G2931K, was formulated to have the same chemistry as F but use frits instead. It is crystal clear and super glassy. Low fire bodies span a wide range of thermal expansions. While Worthington clear (an ancestor of this recipe) melts to a good clear, its thermal expansion was too far toward the low end of the range (it tended to shiver and fracture rather than craze). This recipe, G2931K, raises thermal expansion (by adding Na2O). 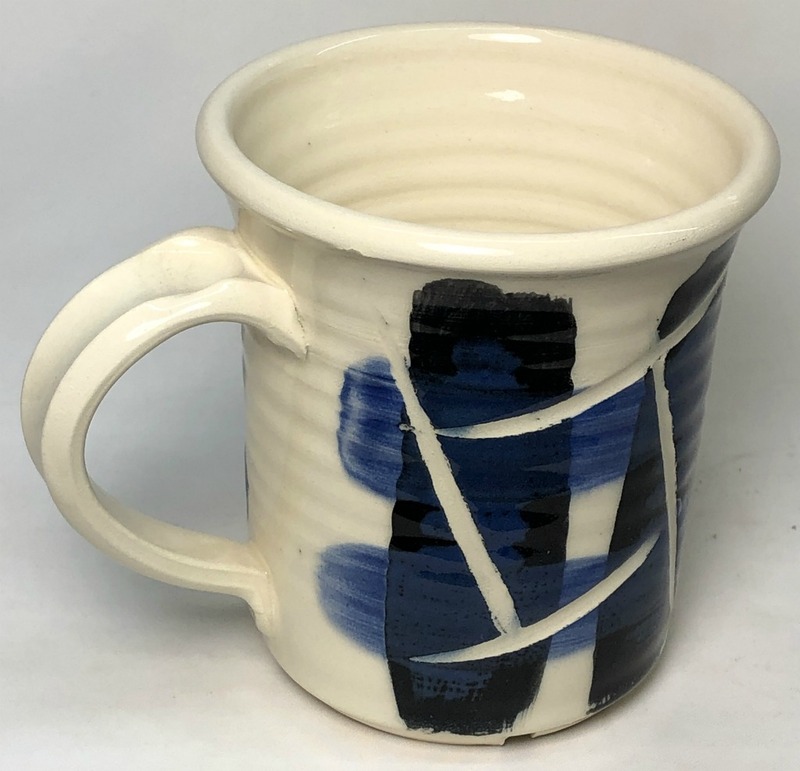 The thermal expansion of Zero3 stoneware and porcelain are about the middle of the range, and they develop good glaze:glaze interfaces, so this recipe fits them well. 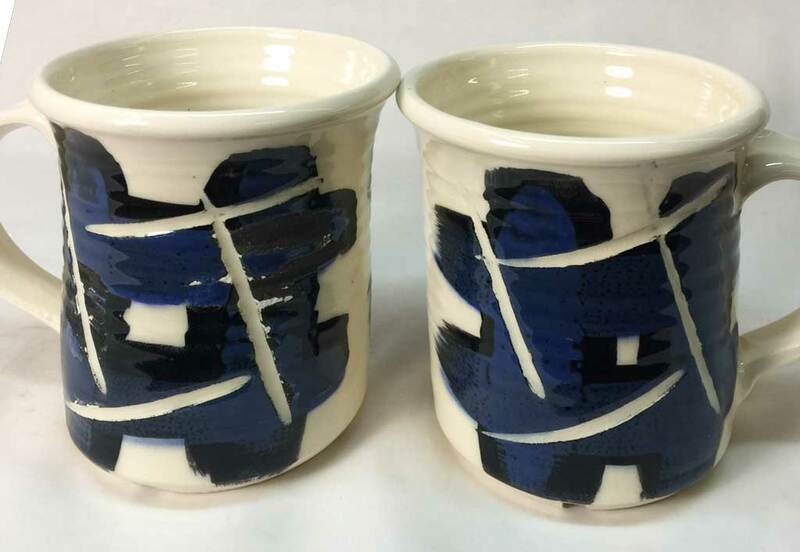 This glaze also works well on other low fire bodies. Low talc bodies (like Plainsman 215) also work well. But this glaze shivers on high-talc bodies and crazes on zero-talc porous ones. That is what we want. Why? As noted, the thermal expansions of low fire bodies span a wide range. And glazes are just not stuck on well to ones that have a porous and softer surface. Thus, GLAZE FIT IS VITAL AT LOW FIRE (to prevent crazing and shivering). 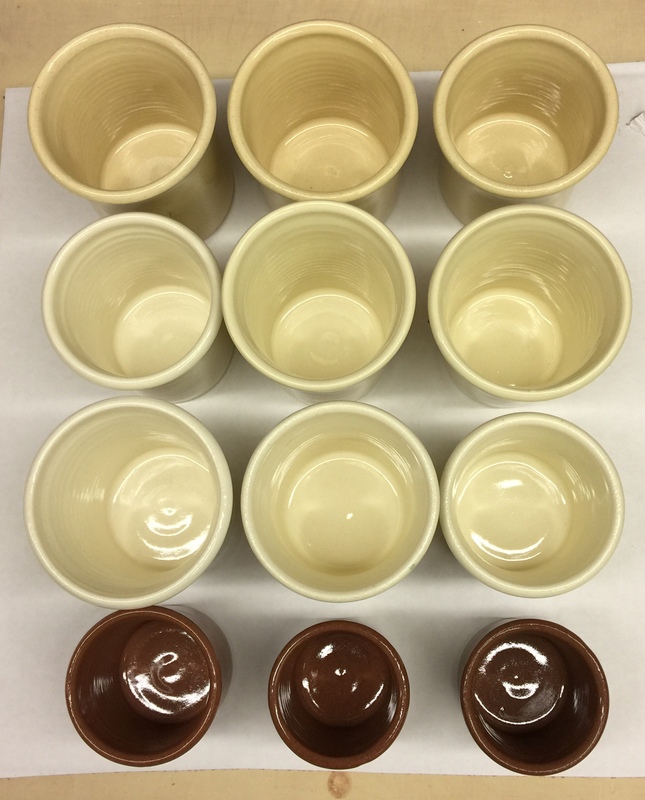 Remember this: IT IS IMPOSSIBLE THAT ONE BASE GLAZE CAN FIT THEM ALL. Not even two can span the range! Commercial glazes only fit your clay body by accident. That is why this recipe has three variations, one of higher expansion than this one (G2931H) and one of lower expansion (G2931L). 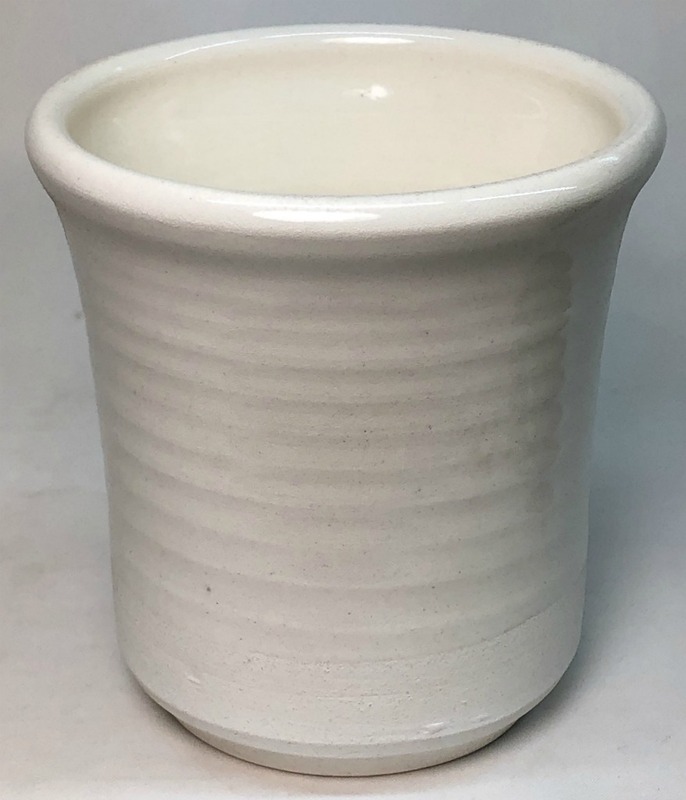 By testing glaze fit (using a thermal shock test like boiling water:ice water) and choosing the best recipe or blend of recipes, you can get the best fit. Make the effort and do that. All three fire crystal clear. And you can make make your own brushing versions (see link below). Keep in mind that adding zircon and stains changes expansion and requires re-testing and possibly changing the proportion of K, H and L to match your body. It is a hassle, but it is not rocket science. Dipping ware in Zero3 Transparent is just so much easier than trying to paint on commercial, slow-drying clears. It produces a slurry with very nice suspension, fast drying and good application properties (if you tune it right). It naturally gels to a creamy consistency at around 1.53 specific gravity (in our circumstances). However it goes on too thick at that high a value, we have found the best all around performance at 1.43 with enough Epsom Salts to gel it back up to a creamy consistency (a few grams per gallon). Measure the SG by weighing (forget about fiddling with hydrometers). 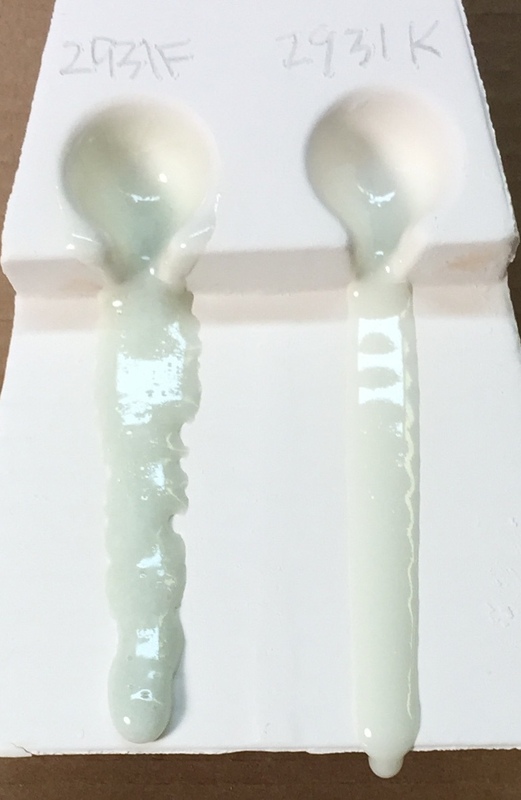 You will think it is too thin and watery, but it isn039;t. The Epsom salts will thicken it and make it thixotropic (which the 1.53 slurry was not). Use a little Darvan if you get it too thick. -It is much less expensive so it is practical to have a large pail of it so that pieces can be easily dip-glazed (using dipping tongs). 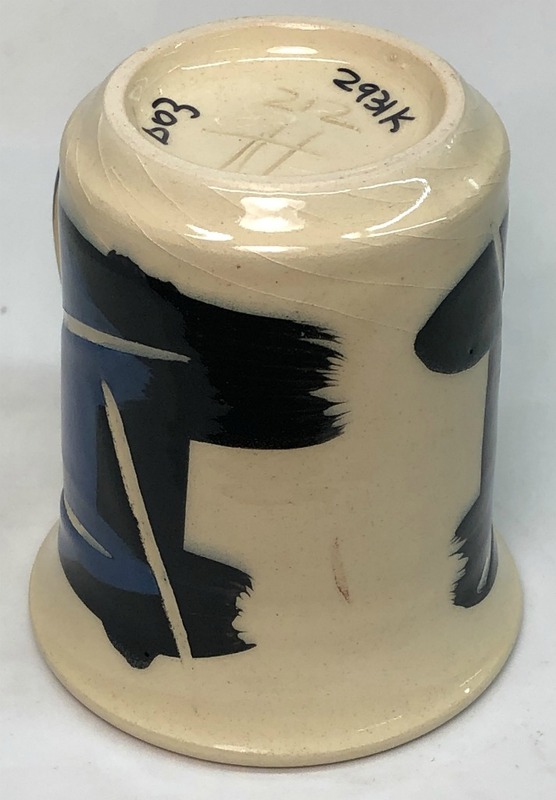 -It behaves like stoneware glazes, it suspends well and applies in an even layer that can dry to handling stage is seconds. -It fires to a better crystal clear than most. 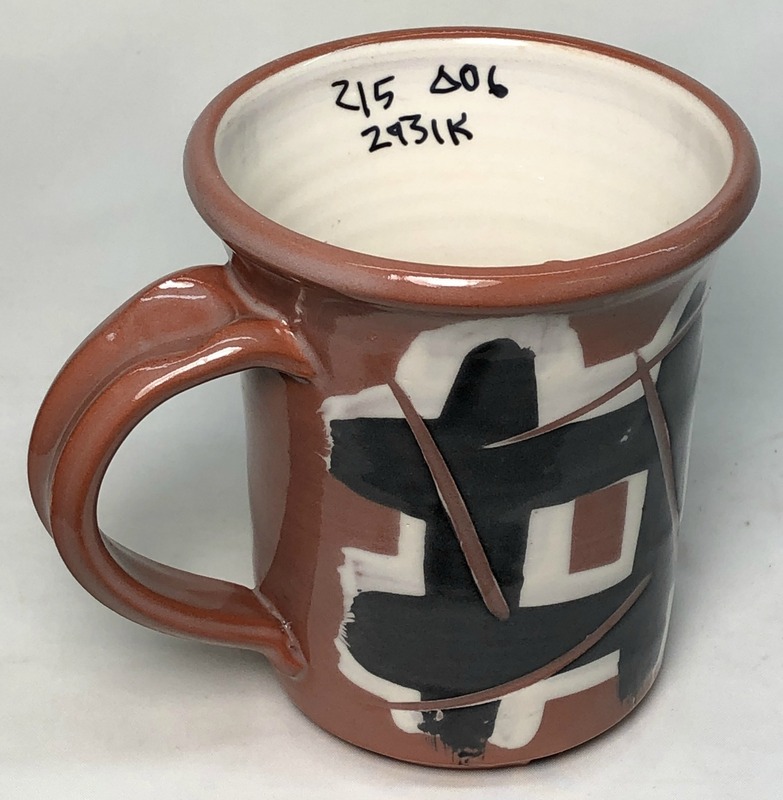 -Since the recipe is known, and contains no toxic materials, you can more confidently assure retailers that it is safe; all underglaze color decoration can be isolated from any contact with food or drink by this. 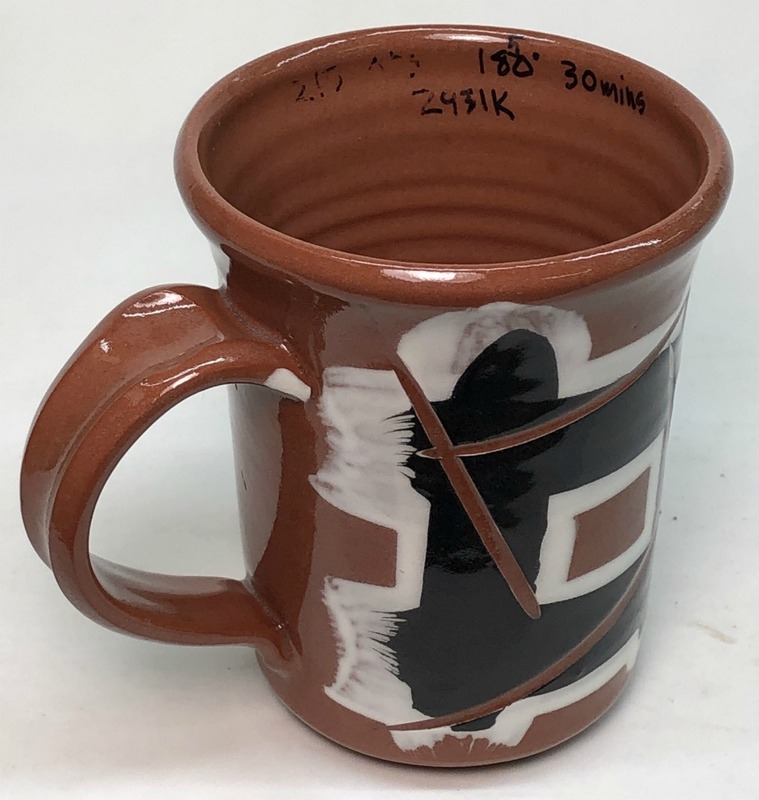 -It is compatible with most underglaze colors (including pinks). Pay special attention to the drop-and-hold firing schedule, especially if your clay body is not fine-grained. To mix up 5 Kg use about 4.5 kg of water to get 6.5 litres of glaze. -Mix in 500g of powdered glaze, adding water if needed to get desired painting consistency (up to 325g total water). It is better to be a little thinner than too thick. -To make colored versions add stains as needed (if stains cause micro-bubbling or orange peel surface include 2-3% zircopax). 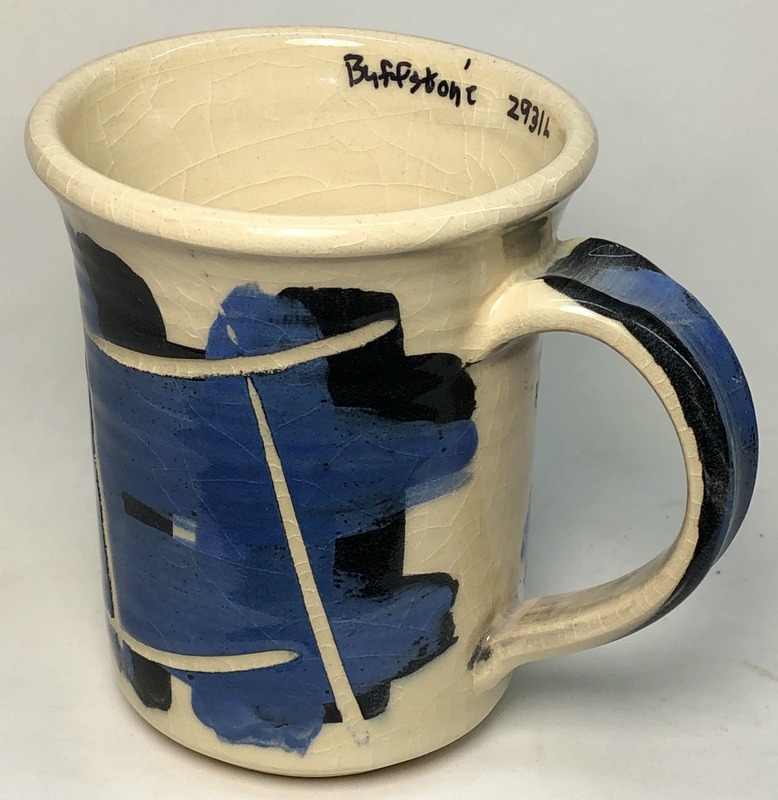 These notes were entered in the notes panel under "Batch Ticket Notes"
The F version of the glaze employs Ulexite to source the boron (instead of frits). 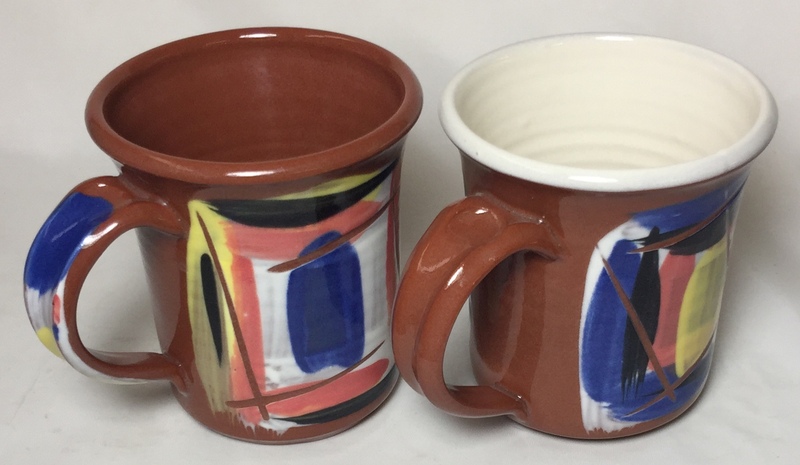 These Zero3 stoneware mugs were fired to cone 03 with underglazes. The right mug has the Zero3 engobe inside (under the glaze). Fired cone 03. Body is Zero3 stoneware. Surface is perfect, even where thick. Ultra clear. Survived three boil:ice cycles and one 300F:ice cycle without crazing. 2931F was the Ulexite flused version of this recipe. The F survived three boil:ice cycles and 1 300F:ice cycle without crazing or shivering. The K is slightly smoother, tiny dimples in the surface are fewer. It is also applied thicker. F was the Ulexite-fluxed version of this recipe. These two recipes have the same chemistry, but K sources boron from frits rather than Ulexite. Notice how much less bubbles there are in the flow and how much more predictable the melting pattern is. F is obviously bubbling more, the percolation is causing the melt to spread out more on the tile. On the flow test is was less fluid. This is G2931F on Plainsman Buffstone, L213, F100, L215. First column is cone 04, center is cone 03, right is cone 02. All exited the kiln without crazing except Buffstone at cone 04. We subjected all of them to a 300F:IceWater thermal shock. Buffstone crazed on all of them. L215 and L212 Cone 04 crazed. 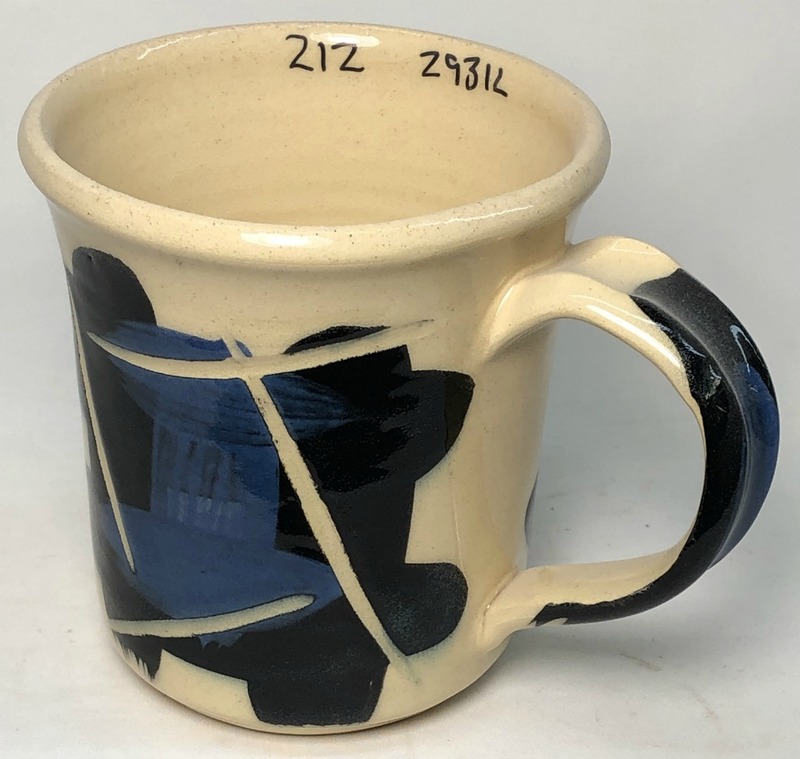 L213 was good but later the glaze was found to be under excessive compression, subject to shivering over underglazes. At cone 02 there are some dimples and defects. The thicker version is clouding. The thinner one has micro-pinholes. It need a higher temperature. Very transparent. No crazingafter many months. Milky but only a little crazing after a year. L212. L2931K shivering. L2931H is good. 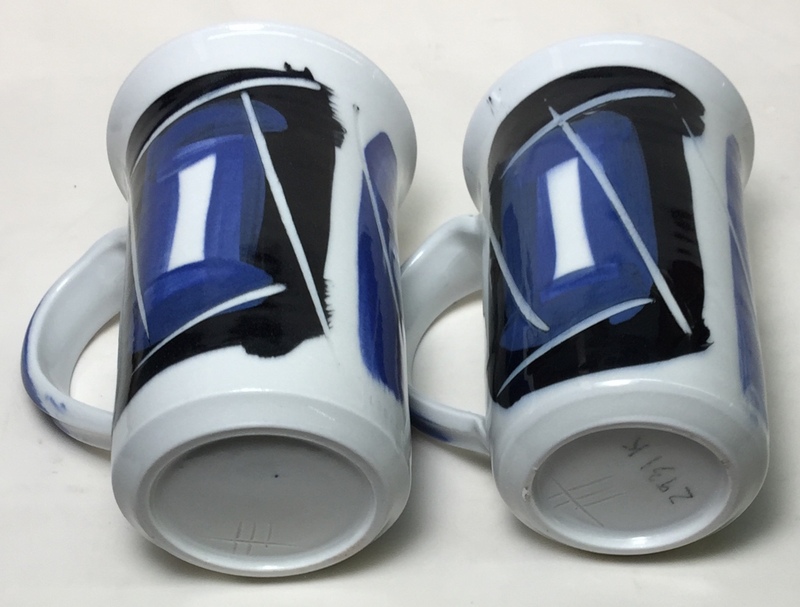 However the H did shiver off underglaze a little over time. On one piece. After a year it was notcrazed. Used to glaze fire Zero3 porcelain and stoneware. However, there is a caution about bisquing these frit-containing bodies: They will vitrify in a typical firing, you must reduce the temperature to around 1500F (if ware is not absorbent enough fire lower). 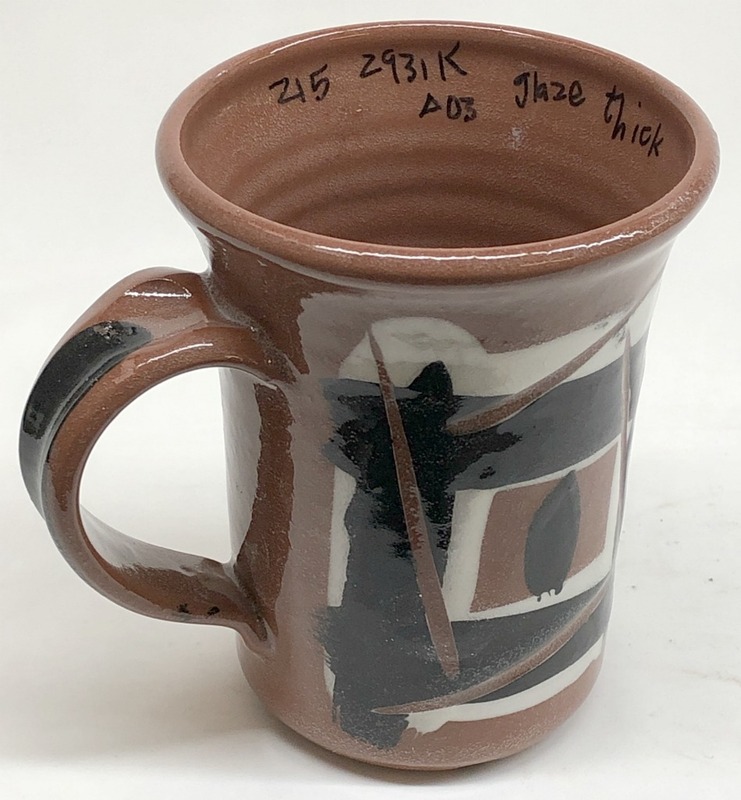 Note: this schedule is for the glaze firing, the previous two sentences simply referenced what is needed for the bisque. This can start and finish more than once in a working day. Step 2 can often be done as fast as your kiln will go (cold-to-cold in three hours is possible). 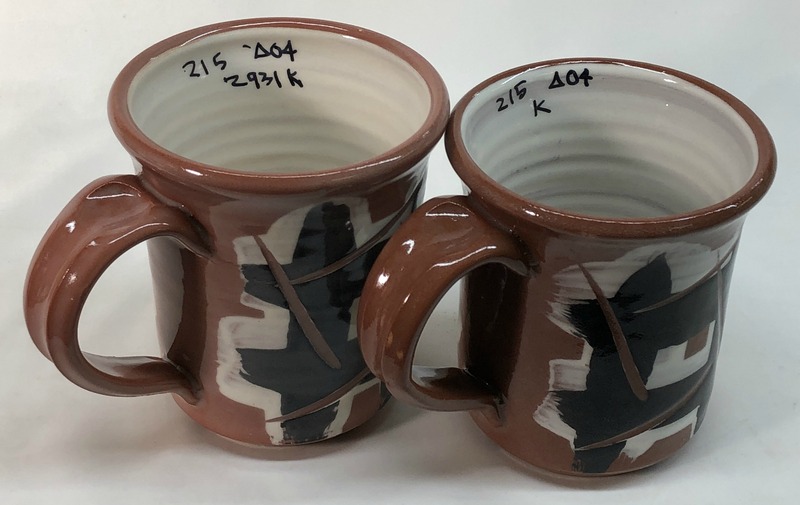 The soak at 240F does not fracture ware even though it is above the boiling point of water. We find this is needed to be sure ware is sufficiently dry to withstand the rapid ascent to 1850. If your ware is thicker a slower ascent may be needed. The 1850 soak on the way up clears the clouds of microbubbles. The 1850 soak on the way down heals the defects (blisters, pinholes) because the increasing viscosity is enough to overcome the surface tension holding bubbles from breaking). It may be necessary to alter the last step if any imperfections are present. Try dropping to 1800 or 1750 and holding there. An additional step could be added to cool at 100F/hr down to 1500.